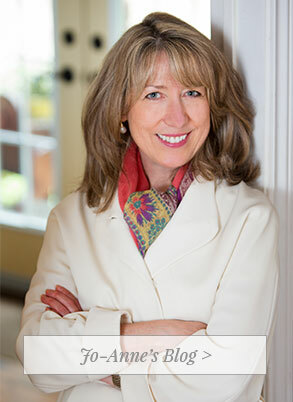 Jo-Anne’s expertise comes from 25+ years of experience at the vice president and director levels for leading brands such as Ritz-Carlton, Four Seasons, and Mandarin-Oriental. Operating since 2009, JH Hospitality Consulting specializes in the interconnection between effective leadership, positive organizational culture, engaged employees, and extraordinary customer experience. Transformative service offerings include: creating customers who rave about you, developing dream teams, building tomorrow’s leaders, and activating the sales mindset; all key factors in increasing profitability and market share. We have seen dramatic results from 10 to 25 percent improvement in revenue among our hospitality gold-list clients such as Dorchester Collection, The Ritz-Carlton Hotel Company, Mandarin-Oriental Hotel Group, Francis Ford Coppola Resorts and Shangri-La Hotel Group in places including New York, London, Milan, Beijing, Bangkok, Hong Kong, Singapore, and Montreal. Jo-Anne will share her extensive experience, knowledge, and remarkable track record of success from hotels around the world in a soon-to-be published book. With a passion for giving back, Jo-Anne is a member of the Board of Directors for Dress for Success (Toronto Chapter) which helps disadvantaged women get jobs and life skills. Jo-Anne is also a steering committee member of the Canadian Values Alliance, which promotes a values-driven society in work and life.